The Alaskan Way Viaduct closes for good Jan. 11, and the new Highway 99 tunnel won't open for another three weeks. The Seattle Squeeze will strain commutes and other travel, but here are some resources to help you navigate. Transportation officials are warning of jammed roads, crowded buses and full trains when the Alaskan Way Viaduct closes permanently on Friday, Jan. 11, and the new Highway 99 replacement tunnel doesn’t open for another three weeks, as construction crews connect existing roads to the tunnel. Government agencies and private businesses have a number of resources to help you find the quickest route — or at least avoid the worse one — as you move around town. Seattle Department of Transportation (SDOT) has a website called Seattle Traffic with up-to-date traffic conditions, maps for trip planning and information about the viaduct closure and the new tunnel. SDOT’s travelers information map has links to traffic cameras and construction updates. Another SDOT web page called Construction Look Ahead lets you sign up for notices sent directly to your email with details about road closures and major events that may cause delays. SDOT provides email traffic alerts twice per day — once in the morning, and once in the evening — with information on travel times, tips and commute suggestions customized for your neighborhood. The Washington State Department of Transportation (WSDOT) offers personalized updates about your commute. You can sign up for email and text-message alerts, or download the agency’s app. WSDOT also provides updated travel times and live traffic cameras that monitor major roads. A slew of navigation apps can help drivers get around the region. Some of the most popular are Waze, Apple Maps, Google Maps (you can download the version for Android and iOS) and MapQuest (here’s the version for iOS and for Android). Kitsap Transit has created a web page for all resources related to the viaduct closure. Having trouble finding parking? Try Garage Hop, a parking app that connects people looking for parking with residential buildings that have spaces to spare. And information about Park & Ride locations is available here. Need to pay for on-street city parking? Download the PayByPhone app. OneBusAway provides bus riders real-time updates on their route. The Transit App will tell you when your next bus or train will show up, where to find a car available to rent and has recently added shareable bikes to their menu. Sound Transit’s Trip Planner and King County Metro’s Trip Planner let riders put in starting points and destinations and search for public transportation options. An app-based on-demand van service called Ride 2 will take travelers between West Seattle’s Alaska Junction and the Water Taxi dock at Seacrest Park. Kitsap Transit also launched a mobile and desktop real-time transit app called DoubleMap that lets riders track their bus or ferry. App-based ride-hailing companies Uber and Lyft are offering discounted rides to and from transit hubs during the viaduct closure. The app Migo allows customers to sort through multiple on-demand ride services to compare prices. The apps RideGuru and Bellhop also show fare estimates. Considering carpooling or vanpooling? Here’s where you can find a ride-share buddy. Traffic Lab has put together a web page for all of our viaduct-related stories at st.news/tunnel. We’re also answering your questions about the project. You can submit more here, and sign up for our periodic updates on important stories and news features. Want to ditch the car and try telecommuting? Here’s what to know from those who’ve tried it. 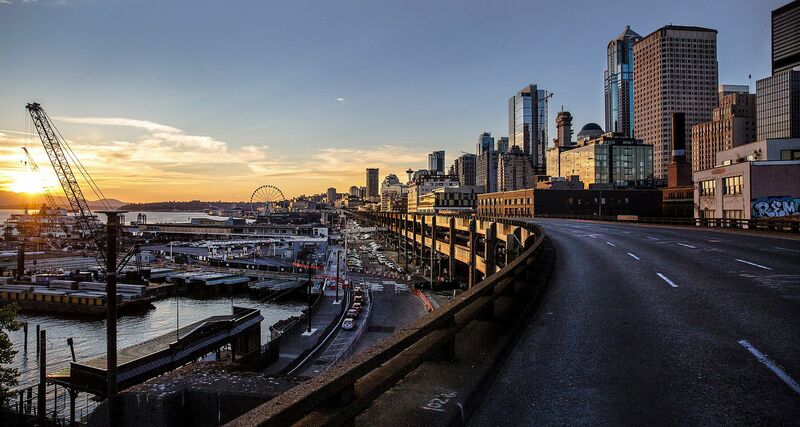 WSDOT’s Alaskan Way Viaduct webpage has details about the viaduct closure and tips and information about how to get around when the city is most congested. Comments and questions can be sent to WSDOT here. Employers can email Commute Seattle and King County Metro for specialized tools to help workers plan their commutes. Thinking about biking or walking? Explore SDOT’s Bike Map and Walking Maps. This list will be updated as new tools and resources develop.